There is a French joke that goes: what is the difference between un tailleur (tailor) and un couturier (dressmaker)? The answer is that le tailleur dresses men and undresses women, but le couturier dresses women and undresses men. In the old days, women went to a dressmaker and men went to a tailor. The two traditions were totally different, and never the twain would meet. Even the shape of thimbles used by the two are different. However, in the late eighteenth century it became fashionable for women such as Marie Antoinette to go to a men's tailor to have their riding habits made. 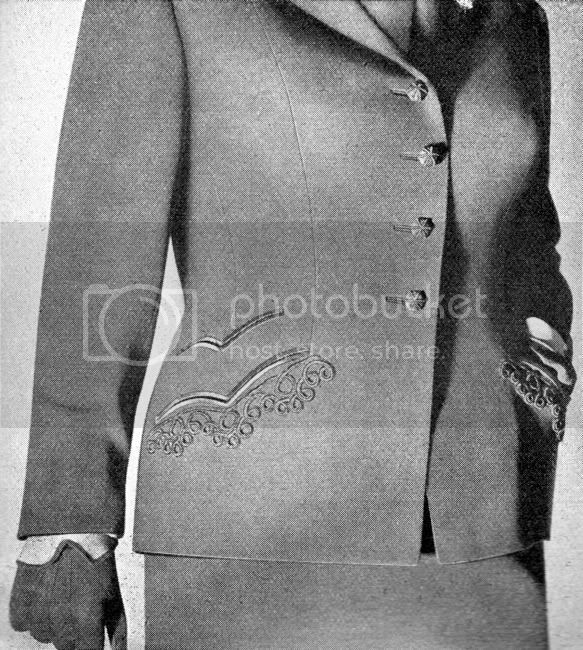 As the nineteenth century progressed, and with it women liberation spread, women started to go increasingly commonly to their menfolk's tailors to have coats and suits made up. 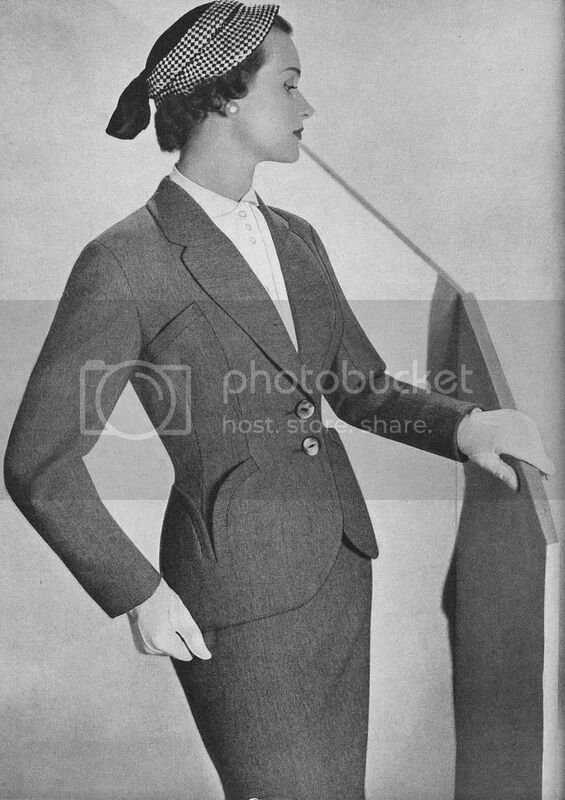 This is why many styles of women's suits are referred to as being in a masculine style or even "man tailored". This has resulted in a blurring of the traditional distinction between tailoring and dressmaking. Many dressmakers today offer tailored garments. 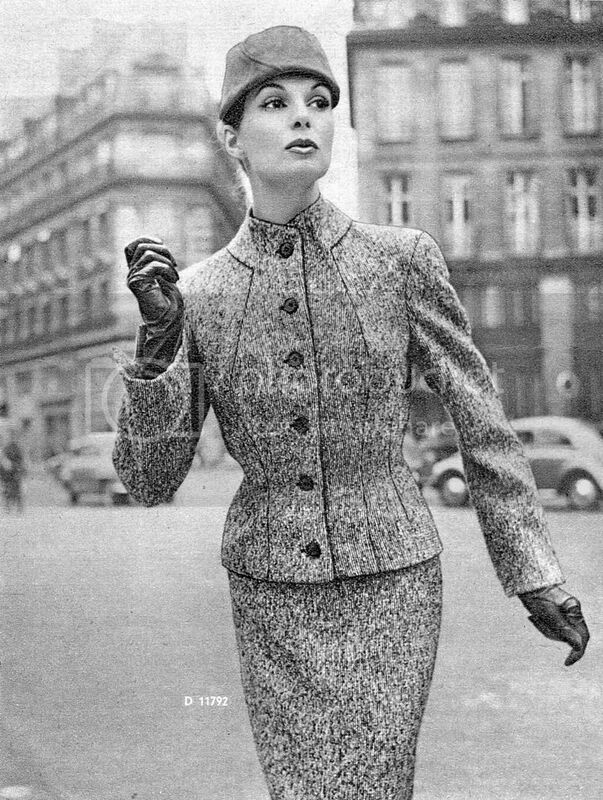 However, in many Parisian couture houses the tailoring and dressmaking sections are often still quite distinct, reflecting the difference in skills and tradition behind them. 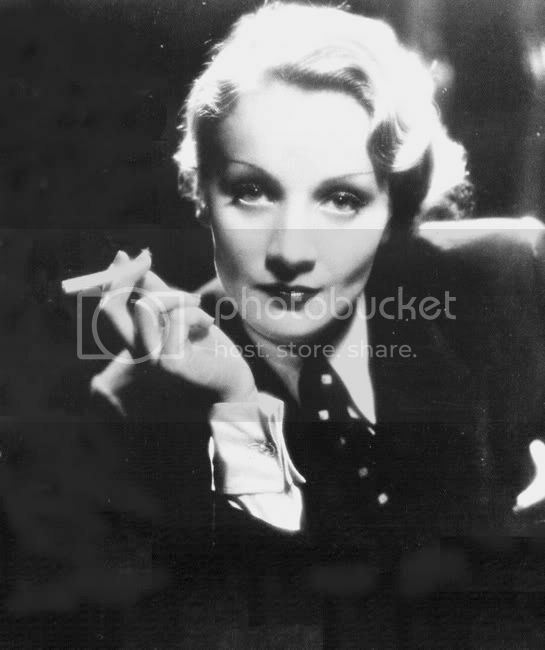 In another continuation of tradition many men's tailors continue to offer bespoke tailoring to women as well. 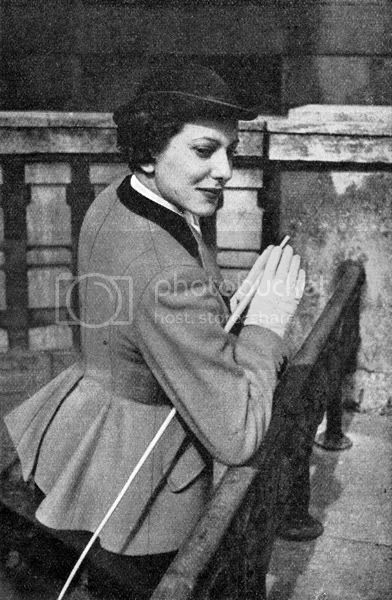 The term "bespoke" is preferred when describing tailoring for women, rather than "couture" because "un couturier" in French means a "dressmaker". It is also a reflection of history, because whereas Paris is the traditional centre of dressmaking, London is the traditional centre of men's tailoring. In general, the British term "bespoke" is preferred to "couture" when discussing all high end tailoring. 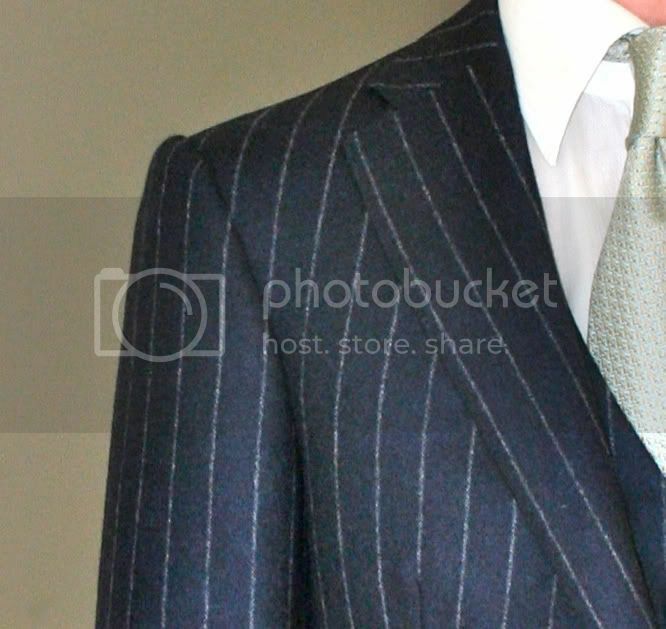 The term bespoke arose when in the old days, a customer would choose a bolt of cloth in a tailor’s shop, whereupon the tailor would mark it as being “bespoken for”. 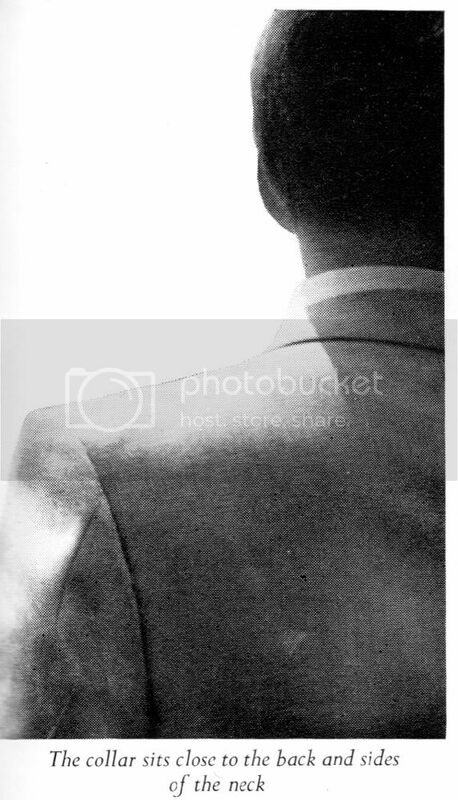 It has come to mean a traditional form of tailoring in which a uniquely individualised pattern is drafted for each client, and the optimal traditional tailoring technique is used to realise the shape of the final garment. Naturally, others just want the finest traditional craftsmanship that money can buy. If you have a very proportionate figure, then you may not absolutely need it. Ready-to-wear garments are made for a proportionate figure, but are cut on tried and true blocks. The best ready-to-wear firms only hire the most skilful cutters, many of whom have extensive training and experience in bespoke tailoring. Patterns are cut to the precision of a millimetre or less (1/32-1/64”). At the top end of the market garments are often extremely well made up. With women the big trouble is that there is a wide variation in body shape even within sizes. The complex curvaceous shape that women naturally have makes it harder for women to fit into ready-to-wear garments than men. To make things worse, everyone has some sort of disproportion. 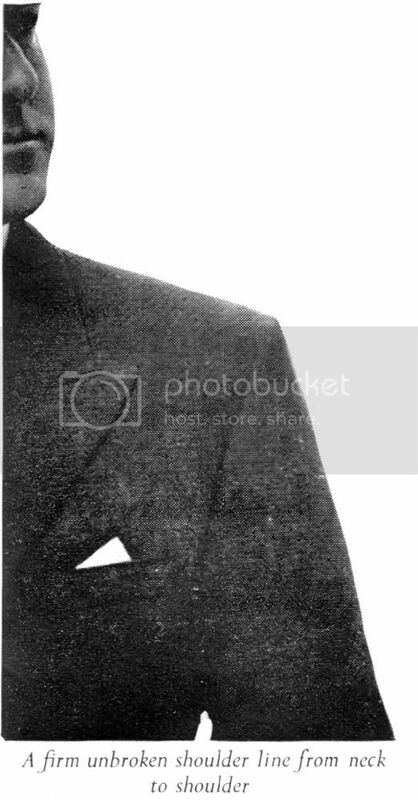 A skilful tailor will find a whole host of disproportions that you probably never even knew existed. Then there is the fact that ready-to-wear makers always offer a limited number of styles in a limited number of sizes. Compared to the past when bespoke tailoring was common, ready-to-wear garments have become virtually the norm. The power of advertising by industry has convinced a lot of women that the label is more important than the garment and its fit. However, nothing is more important to the appearance of a garment than its fit. While ready-made garments can certainly be altered after purchase, there are severe limits to the degree to which the fit can be customised. Nothing beats having a garment made specifically to fit your body and yours alone. Another way of getting a better fit and access to a wider range of choice is by using a made-to-order programme. This involves making a standard set of basic adjustments to a tried and true ready-to-wear pattern. The range of adjustments that it is possible to make to a pattern is fewer and less fundamental to its basic architecture than in bespoke pattern making. There is usually no try on, or fitting phase, (although some will allow you this option, at extra cost). To start with you may be asked to try on a finished garment in your nearest size. The alterations necessary to achieve a good fit are noted, and these come already incorporated into the finished garment. The person who notes these alterations is frequently a salesperson rather than a tailor, but some firms may have a tailor of various degrees of skill to perform this task. The big advantages of this approach are that the work is based on tried and true patterns and that it is more economical. However, if you have a curvaceous figure that is complicated to fit, it is difficult for even a make-to-order programme to accommodate for this, as there are significant limitations to how much a pattern can be altered. Other tailors (and couture houses or dressmakers) may also derive a pattern by 'draping' also known as 'modelling in toile' (moulage in French). This involves a process of deriving a pattern by pinning the cloth over the client. 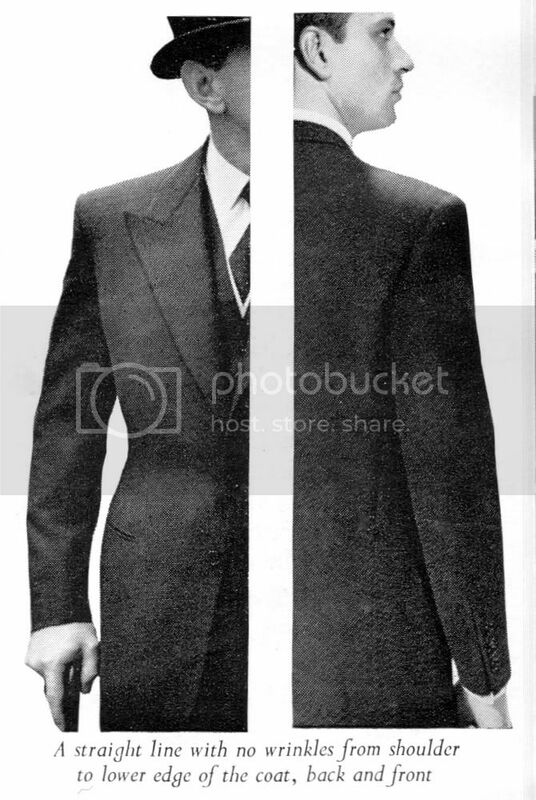 Dressmakers traditionally derive their patterns this way, but it can also be applied to tailored garments. This may permit the tailor to omit the muslin trial garment stage, and skip straight to the first fitting with the proper cloth you have chosen. Why Does it Cost Me More? It is usual for tailors to charge women more than men. 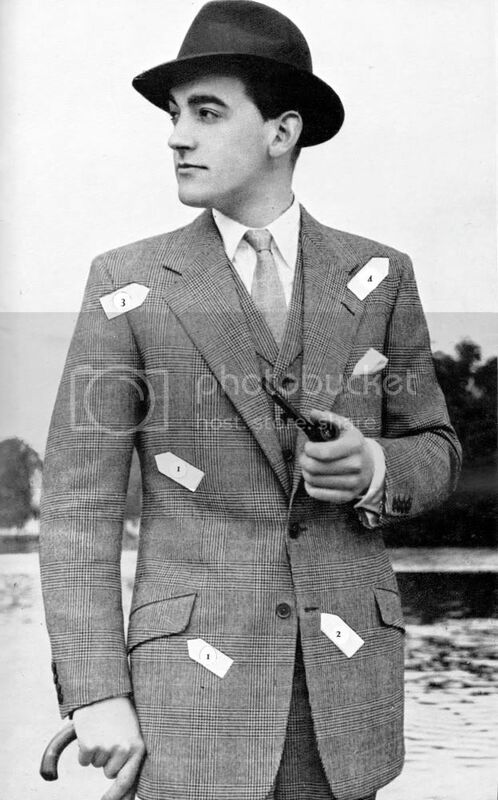 Women often protest that it is unfair if a tailor charges her more than her male counterpart. The feminine figure is much harder to cut for and to fit. A muslin trial garment, for example, takes time to cut and to make up, and these added cost have to passed on to the client. The more complex forms of the female figure also demand more fittings than the average masculine figure, all of which once again take extra time, effort and skill. This is especially so as women are also much more particular about their clothes than most men. There are a couple of downsides to bespoke tailoring. The first of these is that it takes a very skilful tailor to better the tried and true patterns carefully developed by modern ready-to-wear and made-to-order firms. In the wrong hands, there is always the danger that it could end up worse than a ready-to-wear garment, cut off a more painstakingly crafted pattern made by a more skilled cutter. There is some truth to the claim that some bespoke cutters only work in this part of the garment making business because they are not good enough to be employed by a factory where they would be responsible for projects on whose success ride large sums of money. The second downside is that there are too many choices, and the client (who is "always right") may insist on a style that is totally inappropriate to their physique. If you add these two downsides together it can be a formula for disaster. On the other hand, in the right hands the greater freedom that bespoke offers can lead to the creation of a masterpiece – something that is peerless in both fit and style. Freedom is the freedom to create a masterpiece or a disaster. The range of styling choices is extremely wide and the choice of cloths even larger than from most made to order firms. However, a good tailor should be able to overcome all of these potential shortcomings, and not only create a masterpiece that fits, but should also guide you towards a style that is better suited to your body type. In other words, you often get what you pay for. A real masterpiece from a true master tailor or a couture house can be extremely expensive, but also worth it. Nor on the other hand, should it cost a fortune for top quality work. Lastly, there is a subset of people who have no choice but to bespeak their clothes. These are people who have sufficiently pronounced disproportions that they cannot wear ready-to-wear garments, and even made to order programmes have only a finite degree of flexibility. The most extreme cases can be described as “orthopaedic tailoring”, and can present a huge challenge to a cutter. Firstly, make sure that the bespoke tailor really is a bespoke tailor. 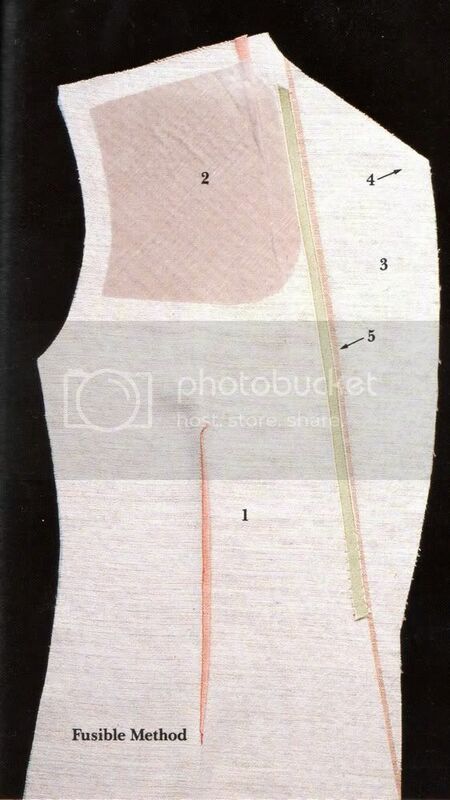 This means that a unique pattern must be drafted for you, and then the incomplete garment proofed in a fitting stage. This does not mean that you try on a completed garment to see if it fits you! 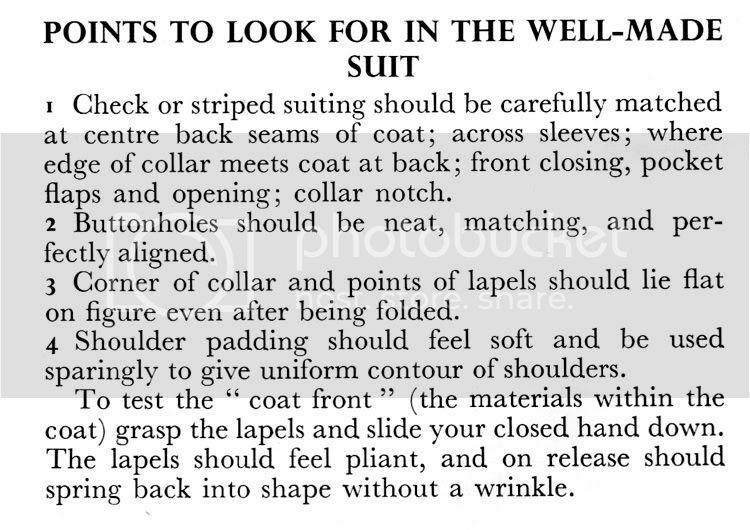 Next, make sure that your tailor is comfortable with fitting and making for women. The difference is partly technical, but also psychological in that women have different demands and goals than men. Many better dressmakers (including haute couture houses) employ excellent tailors. Often the tailoring and dressmaking departments are quite separate, as the traditions behind them are quite different. However, some men's tailors are quite happy to make for women, although the style may be a masculine style adapted to the female body shape. The term “bespoke” is not legally protected. This means that firms may advertise platinum even though what you really get may be silver. It should automatically arouse deep suspicions when on asking questions should you discover that by “bespoke” they mean a factory made-to-order garment. This sort of dishonesty does a firm’s reputation no good, especially when there is absolutely no reason to be ashamed about offering a garment that is made-to-order. If they hide it from you by deception, by trying to pass off made-to-order as “bespoke”, you can assume there is a reason for them to be ashamed of the truth. In Europe, the term su misura , sur mesure or nach Mass can mean either bespoke or made-to-order. Many bespoke tailors in English language speaking countries will describe their garments as “made-to-measure”, when what they really mean is bespoke. Often these tailors are Italian because su misura means “based on measures”. They argue that their garments are cut based on the precise measures of your body, and that this is the true meaning of “made to measure” or ”su misura”. That is why I prefer the term “made-to-order” over "made-to-measure" when speaking of (usually factory made) garments based on ready-to-wear patterns that have been tweaked. The next problem is that of reputation. Just because a firm has been around for generations does not always mean they are just as good today. Skilled cutters and tailors are getting fewer and fewer, with little guarantee of continuity within firms. Some iconic firms coast off the reputation of their past. Less iconic sounding firms may be forced to rely more on the quality of their workmanship. The first step to choosing a tailor is to interview them. You must be able to feel comfortable with them, and sense that you have the prospect of a good long-term relationship. Ask how they would cut a garment for you and you alone, rather than asking what “house style” they would cut for just anybody. 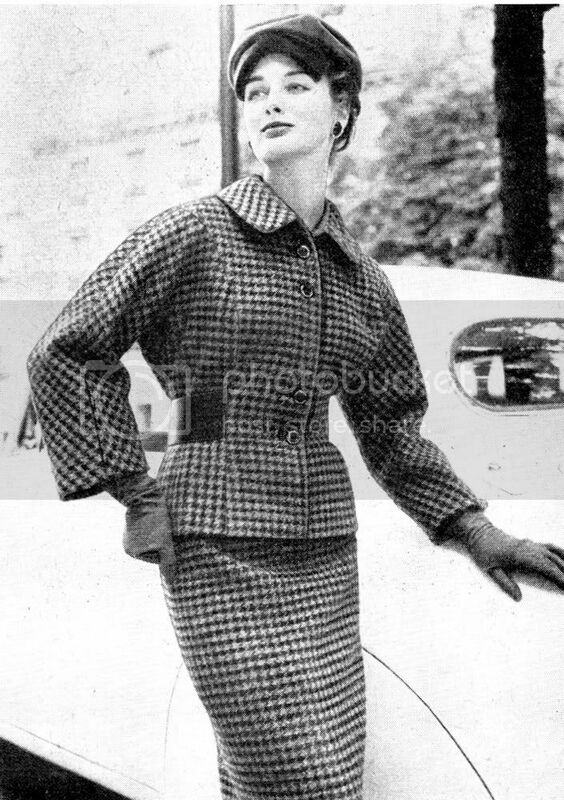 The coat has a perfectly feminine shape that beautifully traces the form of the figure, like a graceful sculpture. The coat effortlessly sits into the waist rather then being pulled tightly into the waist. 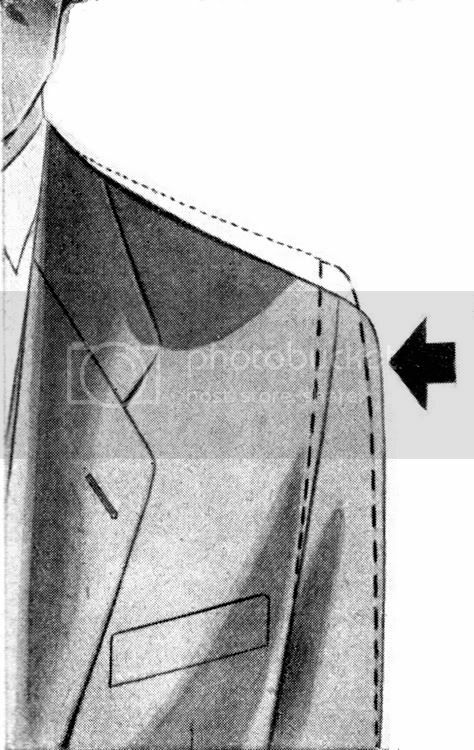 You should leave the way the coat is to be darted up to your tailor, as the sort of darts a coat takes can be dependent on the needs of your figure, although there are also some stylistic choices that can be made to taste. Having fancy details on a garment can be a lot of fun. There are all sorts of exaggerated fashion cuts too that you will see in magazines and on the runway. However, given the greater expense of bespoke tailoring, unless you have money to burn, it is best to stick to simple and classical styles. If you do, you can get many more years out of your suit or coat than out of an overly fashionable cut that will be ripe for donation at the end of the season. 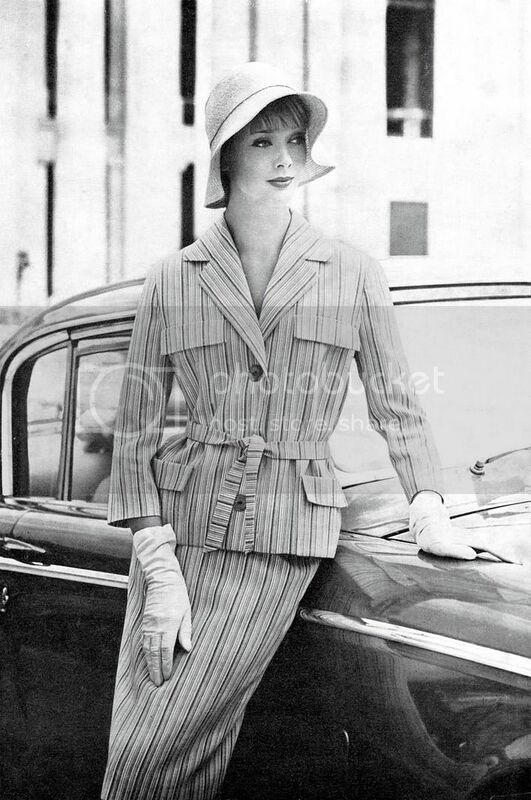 Nearly all of the pictures in this Guide come from the 1950s-60s and yet they would look perfectly elegant today with only minor adjustments such as to skirt lengths. Above all quality never goes out style. 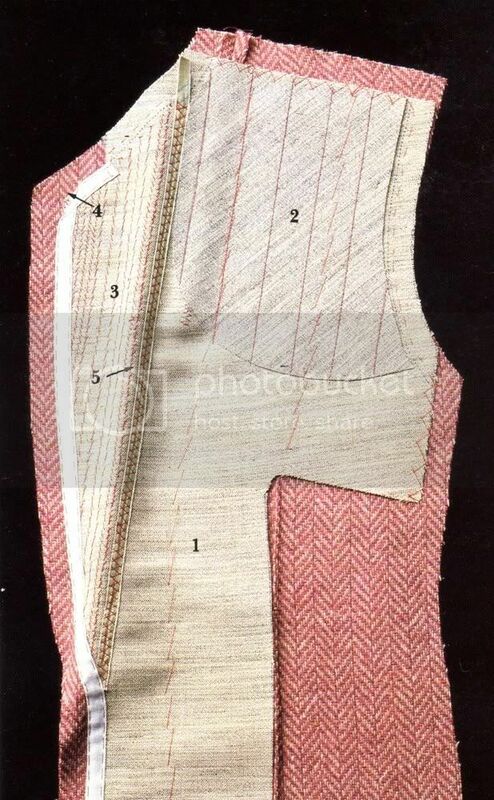 The pad stitching in this example from Jeffreyd's blog can be seen in the form of rows of beautiful hand sewn herringbone shaped rows of stitches in the chest, that help to "sculp" the three dimensional form of the coat. 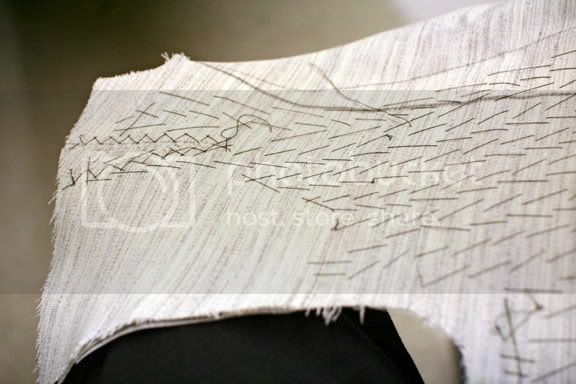 On the finished canvas the pad stitching will also extend into the lapels to help produce their gracious roll. This is what you should always gets from the highest class of tailoring. Speed tailoring shortcuts are fine as long as you are charged less for more economical workmanship. The main shortcuts come in the form of fusing in the canvas and machine made canvassing. Make sure that the canvas extends all the way down to the hem of the fronts. 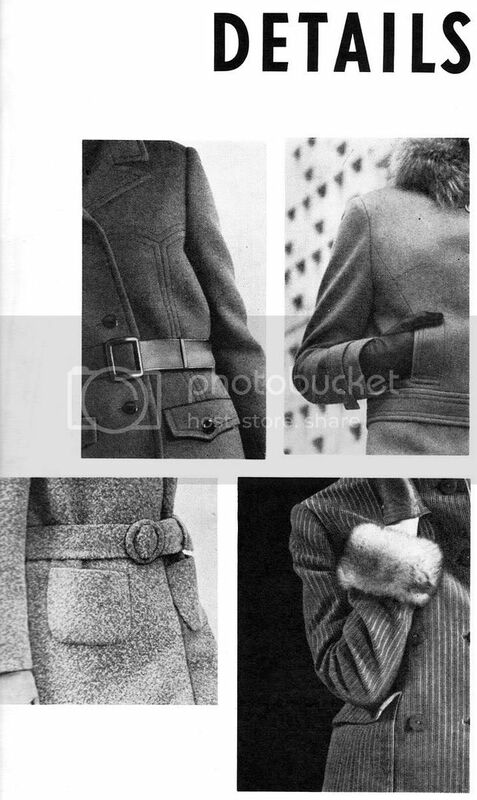 It is possible to fuse just the bottom section of a coat or even omit the canvas and still have a sewn in chest piece. One of the best things about bespoke tailoring is that you don't to choose between a suit with a skirt or trousers. You can have one made of each. A well cut skirt should have a clean hang, with no gathering, creasing or bunching. 1. Soft vs Structured. The more important thing is the ability to tailor and cut, and prospective clients should look for this ability above all others. Both can be good if done well but each is suited for different purposes. The more formal the intended purpose, the more structure (shape might be a better word) a coat should be given so it looks clean and chiselled. 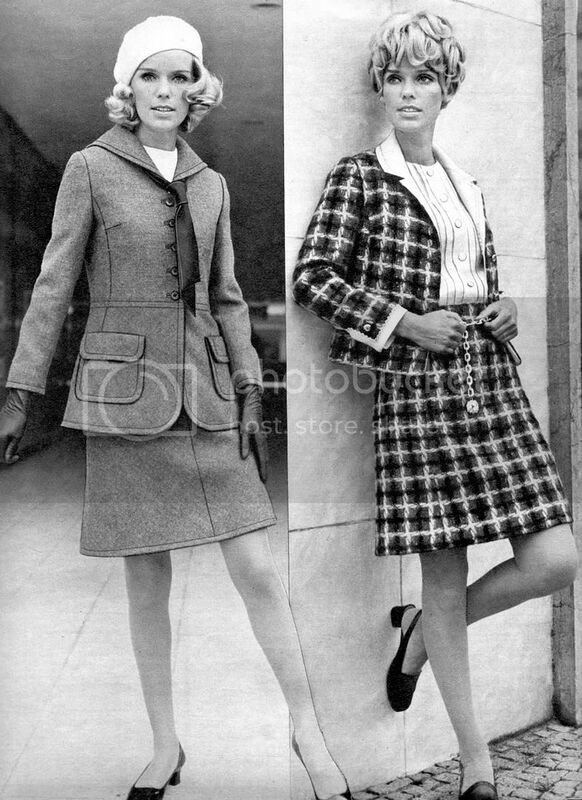 A well fitting structured coat is more time consuming to produce but should still be equally comfortable and natural feeling. The heavier the cloth, the heavier the canvas will be to match it, resulting in a cleaner and more shapely fitted garment. However, a casual summer coat should be softer with less structure, and its rumples become part of its informal charm. Keep in mind that coats made up with reduced structure will lose shape more over time. For these reasons it is best to choose the heaviest cloth that you can. However, "soft" should not mean that a coat should be allowed to be sloppy and shapeless. 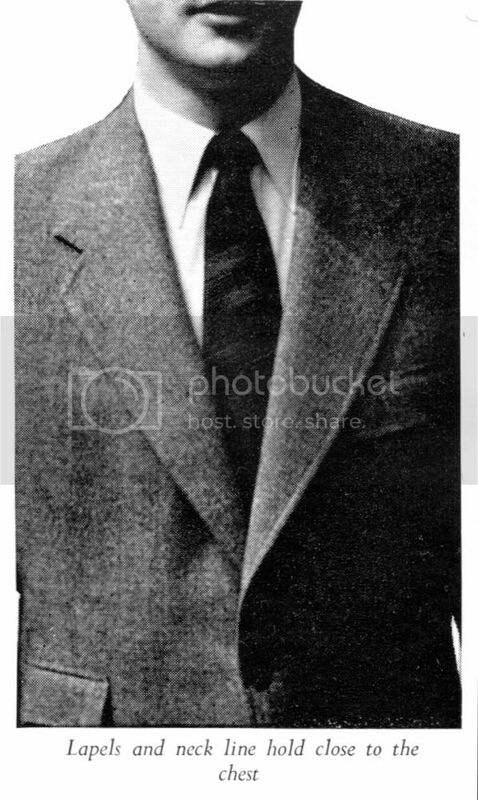 Beware of people trying to pass off sloppy workmanship as having a rumpled “charm” or “sprezzatura” comprehensible only to true cognoscenti. The cleanly fitted cut is at once more traditional and more modern. 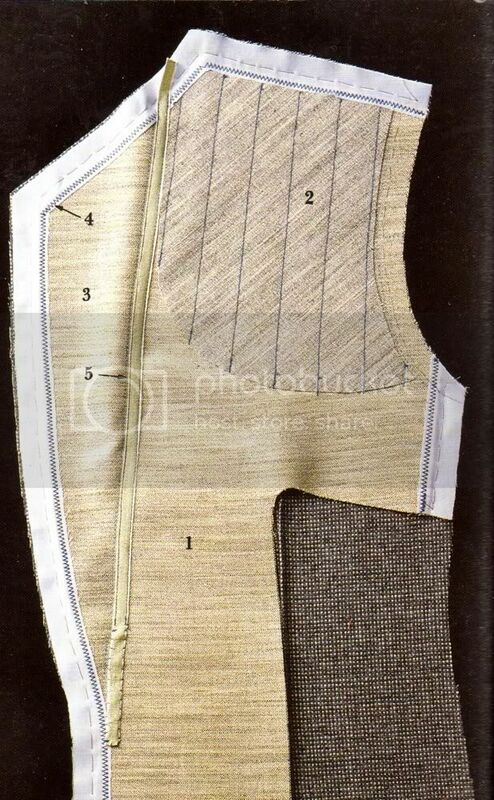 The more fitted a garment is the more precise the cutting and fitting must be. A full traditional canvas structure will help a garment be more fitted to the wearer. That is to say that it is traditional for formal garments to be structured and fitted, and more casual garments to be a softer and loosely fitted. 2. Light vs Heavier Cloths. Heavier traditional tailoring weight cloths (>12 Oz) always make up better, resulting in a cleaning and more shapely garment. Heavier cloths must be matched with heavier canvas, and the resulting increase in structure is one of the main reasons why the garment looks better, and will retain its shape longer. Some people are very heat sensitive, with a great deal of individual variation, and feel unable to tolerate anything but the lightest of cloths. 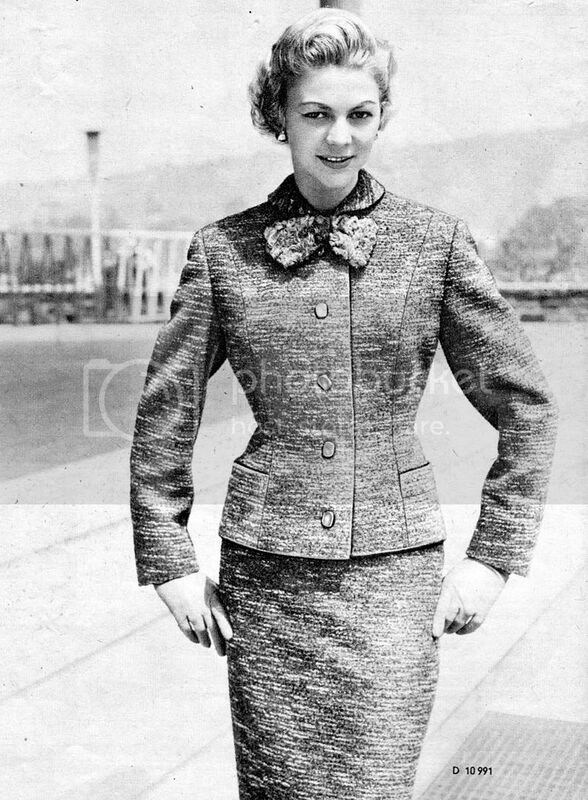 If a client chooses an unusually light cloth of the sort traditionally found more on a dress, it is common for tailors specialising in ladies' styles to give it the support it needs to be made up into a tailored garment by a process called mounting, in which a layer of light canvas type of material is sewn underneath it. If you have any further questions about what you have read here, please don’t hesitate to start a thread on the subject in the The Bespeaker's Advice Forum or else look to see if someone has already asked the question before. There are plans to further updates this draft so please watch out for them. If you have suggestions please send me a private message.